5. This wreath is so cool! I always have grand plans of making new wreaths but I still have the one up that I made last year. I made it around Christmas time but I purposely made it all season friendly because I had a feeling that it would be up for quite a while. 4. I am so in love with this crochet fox pillow. I am a little obsessed with crochet anything lately so this guy is right up my alley. I love that the pattern is owls without looking totally crazy. From a distance it just looks there is something cool going on with the dress. The only thing I am not 100% sold on is the tie at the back. In theory I like it but I find when I wear things with ties at the back I get annoyed when I sit because I can feel it. Still an awesome dress though! Totally want to make this for myself to wear around on Halloween. 1. This dress is way too amazing. Today Ivan and I are headed to a wedding and I totally wish I had that last dress to wear to it! 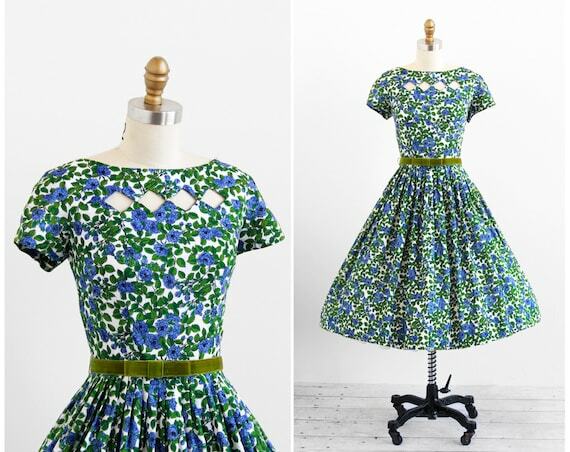 I could use a few more pretty vintage dresses in my closet. That fox pillow is the bee's knees...oh my. Totally screwed up, but I love how crochet feels on my skin. I have this lush crochet blanket that I constantly bury my face into, and my first thought when I saw that fox pillow was "Damn baby, I would rub my face all over that". Maybe I'm part cat? I've never made a wreath, but I always think that I need to. That spider one is awesome! 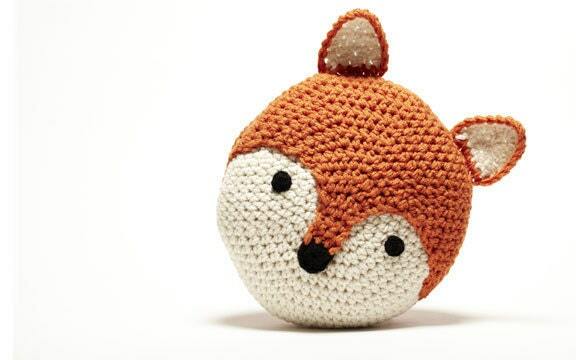 That crochet fox pillow is so so adorable. It totally fits in with the decorating plans I have in mind for the house I don't own!! I love both of the dresses you picked out. Okay I could go for that fox pillow! Jessica recently posted, Flashback Friday: Tale of my batshiz crazy rabbit. That fox pillow is so cute !! That dress IS way too amazing! I must have!